The Google Display Network is a way to monetize ads much faster. It is about the advertising that appears on the web pages of the Display Network, that is, the entire network of websites and blogs affiliated with Google. In addition, it is usually much more segmented and, therefore, more effective for the advertiser. One of the advantages offered by the Display Network is that it has millions of sites that are specialized in specific aspects, making it easier to reach the target audience of the ad. On the other hand, the CTR, that is, the number of clicks per 100 impressions of an ad, is usually a little lower than with respect to the Search Network . But, in general, it usually has a higher SEM performance in ads designed more graphically. The Google Display Network is a huge network that is spread all over the world. In it you can find websites or blogs with very few visits and others with a large number of users who enter daily. To understand this content in a more visual way, let’s see an example. If a person is reading a post about “the most trendy handbags for this season”, during the post you will be seeing advertisements of online stores in which to get those handbags. It is a call to action to a specific market niche that is willing to make an impulse purchase after reading the post. Ads on the Display Network are organized in the PPC Advertising system , that is, you pay only when the user clicks on one of the ads. Meanwhile, they are showing to the user but if you do not click there is no need to pay. – You get a much greater reach than in another way. – It offers the opportunity to obtain more traffic in a clearly defined niche market. – You can get a higher number of sales. – The Google Display Network offers you the opportunity to choose the places where you want the ad to appear, making the investment even more profitable. – Another option is that you can indicate the category in which the ads will appear. – You have the opportunity to use graphics and even video to advertise. – Up to date, more than 4 billion pages belong to this great Google Partner Network. – Want to do Branding . If the main objective is that users know a particular article or a web. The aim is not to get an immediate sale but to create a brand image. – Or to do Remarking . It is that if a user has visited a particular article on your website, it will be “chasing” you for each of the pages you visit. An important aspect that should be noted is that the campaign carried out in the Search Network and the Display Network should not be the same. You have to design a strategy for each one, choosing some guidelines for each place. 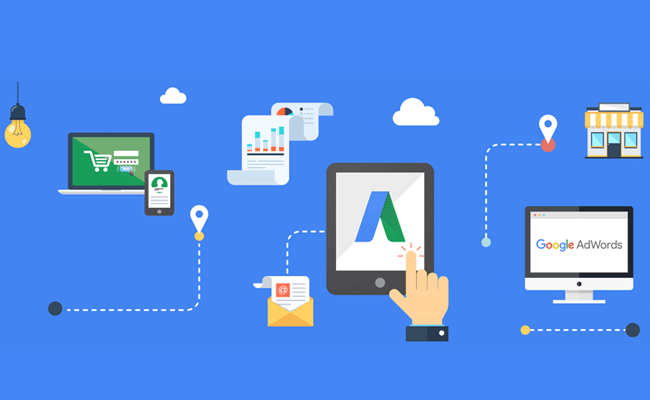 Therefore, it is important to reach the public in a different way to achieve a high return on investment (ROI) in Google Adwords .